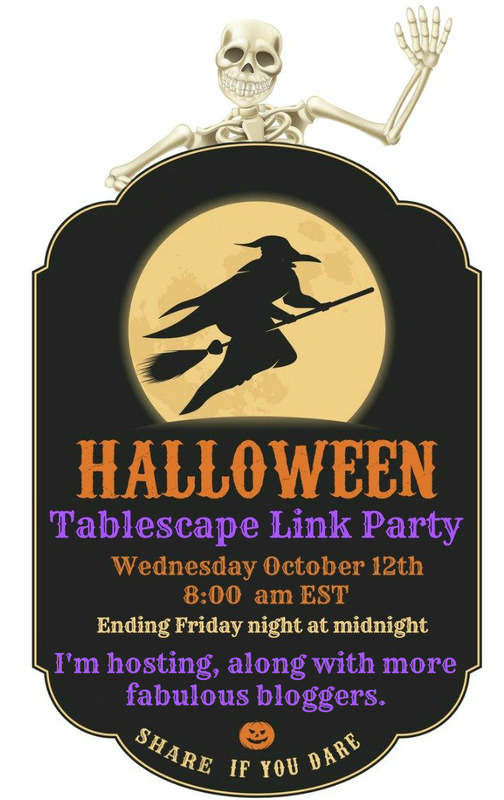 Hold that thought for a MINUTE....I want to share an upcoming Halloween Tablescape party on October 12th @ 8:00 am EST until Friday night October 14th @ midnight hosted by myself and a few other fabulous bloggers. 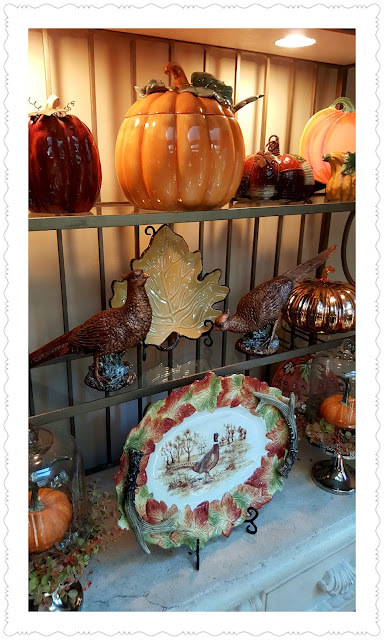 The large pumpkin tureen is a favorite. Great for pumpkin soups and such. 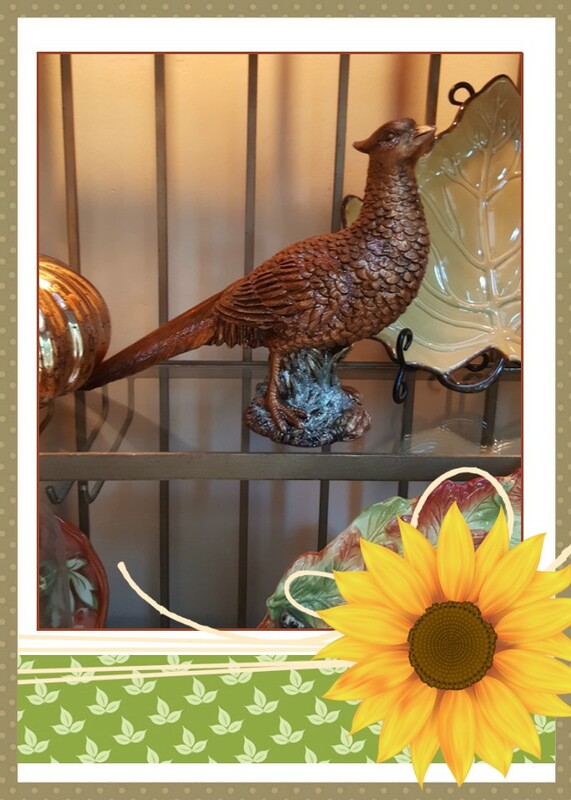 New this year is the pretty pheasants. They are a pretty bronze color. Copper pumpkins, along with large leaf plates fill up the rack, along with the cute pumpkin bowls. Love the large platter. I found it years ago at Home Goods. 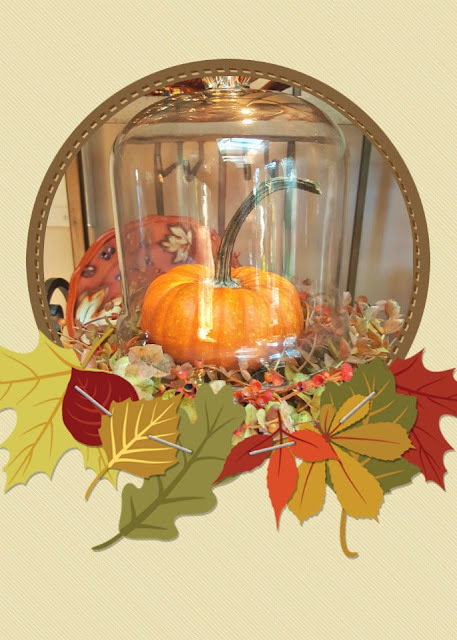 I am using the two silver cloche's with mini wreath and a small pumpkin. Beautifully done Linda! Love the pretty coppery pumpkins. I'm working on my little display area by the kitchen. It's beginning to feel like fall here. Linda, your baker's rack looks amazing! Love the pheasants. All of your accents are perfect! 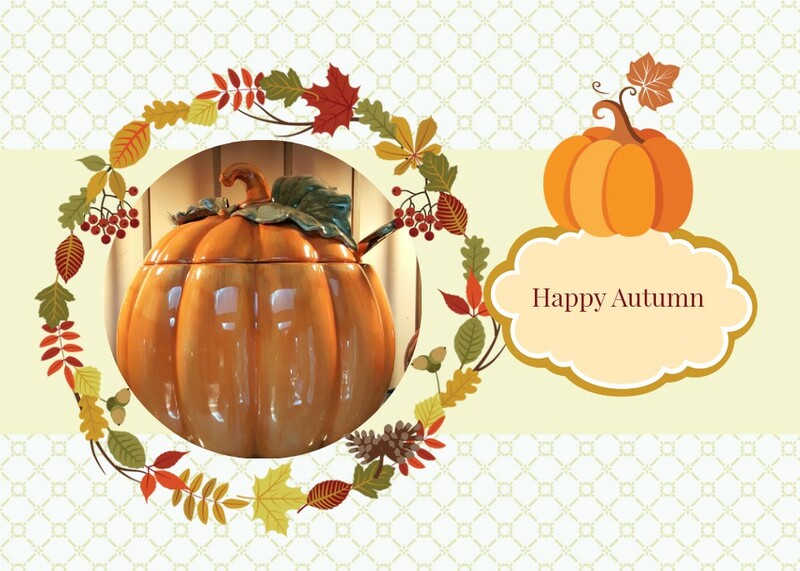 How seasonally wonderful, I really like that pumpkin tureen. I always enjoy seeing all your pretty things!! Happy FALL, Y'all!!! Oh, Linda, this is wonderful! I love those pumpkins and all those warm autumn colours! Your Baker's rack is beautiful! Love all of those rich fall colors. Have a wonderful day! Your Baker's rack looks perfect for fall! 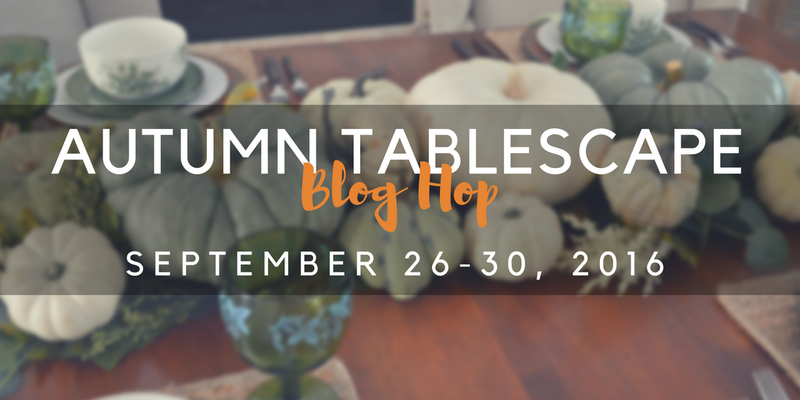 A fun Halloween tablescape is arranging itself in my mind... I'll be there. Lovely. I have those pumpkin plates and mugs to match. I do not have the tureen. You did such a nice display. 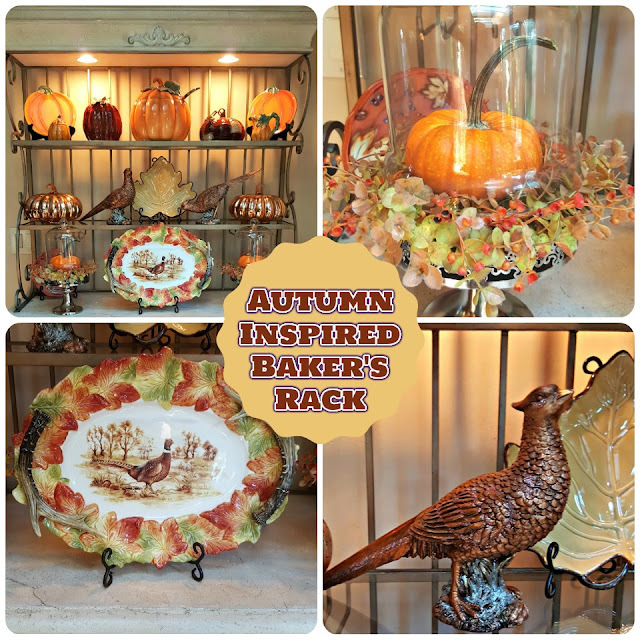 Your baker's rack looks wonderful! 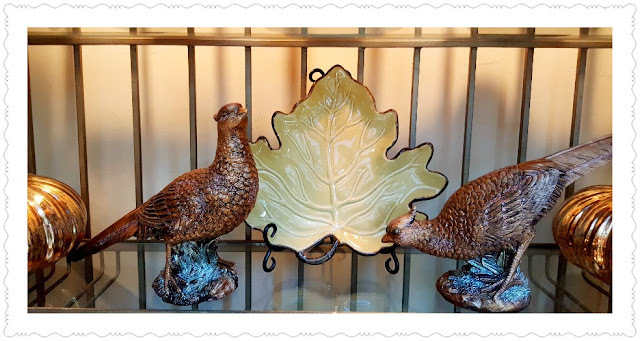 I'm not surprised that the pumpkin tureen is a favorite...I love it, too! I love great seasonal decor. This is adorable. I love the pheasants. They are too perfect. Thanks for linking to Monday Social. Have a wonderful week. Thanks for joining Monday Social. 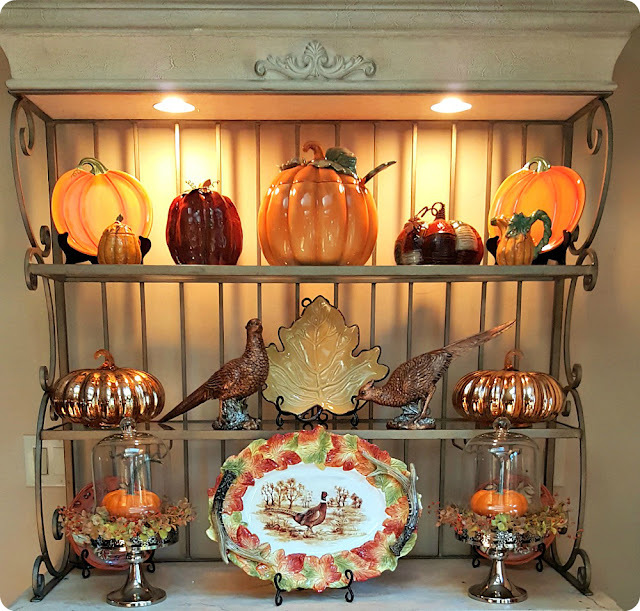 This is beautiful Linda and I can't wait to see more of your seasonal decor. Thank you for sharing with us this week at Celebrate Your Story, have a great weekend! Isn't Fall a wonderful time of the year? After returning home to our Texas heat I am missing your neck of the woods. I always enjoy seeing your seasonal decor on your bakers rack and pheasants have always been a favorite of mine. Love the colors you chose to work with too. It's beautiful! I just love the way you decorated it. This is SUPER CUTE! 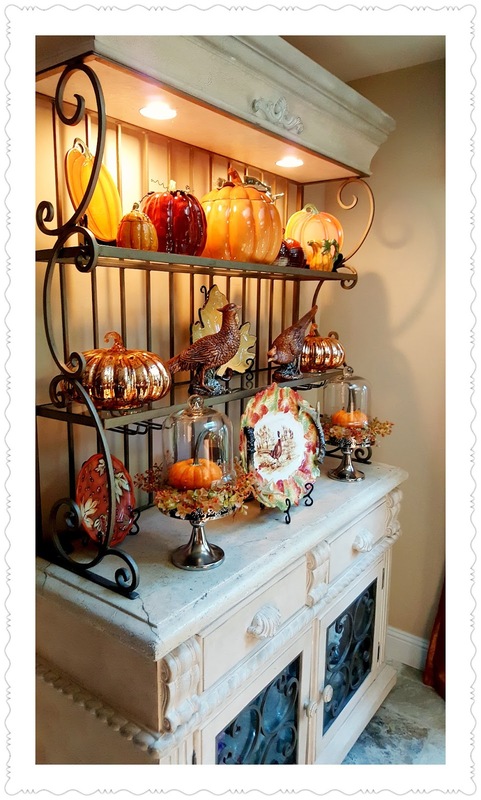 i love how you decorated your baker's rack!